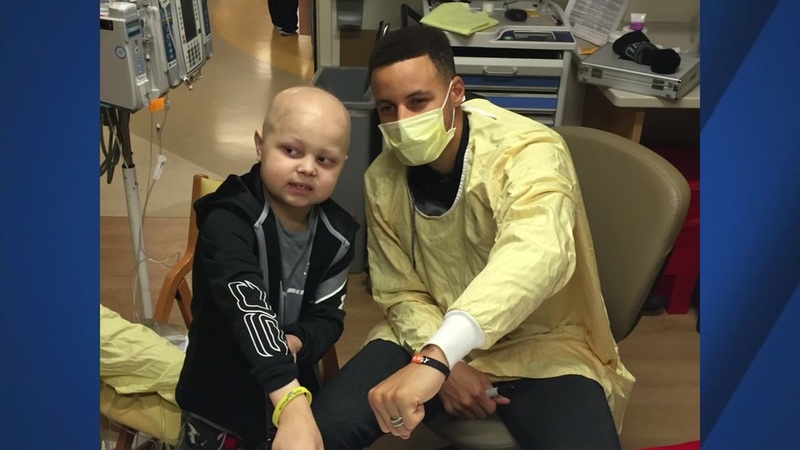 INDIANAPOLIS, IN -- Golden State Warriors star Steph Curry is showing just how big his heart is by visiting a young leukemia patient while the team was in Indianapolis on Monday. Seven-year-old Brody Stephens is one of Curry's biggest fans. Brody was diagnosed with acute myeloid leukemia as a baby and went into remission after chemotherapy. But he's since developed another type of leukemia. The two spent an hour together getting to know one another. Curry gave him a signed jersey, t-shirts and a basketball. They also exchanged bracelets, which Curry wore during the team's win over the Pacers last night. The Warriors invited Brody to come out for a Warriors game at Oracle once he gets out of the hospital.